It’s confession time: Have you ever eaten ice cream at home for breakfast? If you’re trying to watch your weight, you will pay dearly for giving in to that temptation: starting out the day with a hefty calorie count is tough to overcome. If you have kids, you probably fight to hide your secret from them, anticipating some tough questions about why you can eat whatever you want in the morning while they have to stick to a “healthy meal.” In spite of these hazards, true ice cream lovers usually have some stories that they could tell about sneaking a scoop of ice cream at home before the sun is high in the sky. Don’t hang your head so quickly, however. Snacking on ice cream at home for breakfast put you in pretty good company. Billionaire WarrenBuffett, who lives in a surprisingly frugal manner given his wealth, counts ice cream for breakfast among his few guilty pleasures. At this point, you may be anticipating that the ice cream in Buffett’s freezer is far different from yours—after all, he can afford to have his imported fresh from any location on the planet! In fact, Buffett prefers Haagen-Dazs, which you can find in your local supermarket freezer. It’s a bit pricier than most other brands, but well within a normal budget if you’re looking for the chance to snack like a billionaire. On a humorous note, Buffett’s company, Berkshire Hathaway, owns the Dairy Queen chain. There’s no word yet on whether there’s any Dairy Queen products in his personal freezer…. If you’re looking for something extra special for the Christmas season, though, we recommend what seems to be this year’s hit: gingerbread ice cream! The spicy flavor of gingerbread combines very well with a great ice cream base, creating a treat with all kinds of possibilities for holiday celebrating. Use candy to create a mouth, eyes, and nose, and you’ve got a gingerbread man sundae. Whether it’s fresh, homemade gingerbread ice cream or a pint of Haagen-Dazs, think of Warren Buffett the next time you raid the freezer before the rest of the family wakes up. Maybe having some ice cream at home before the day begins is the secret to making billions of dollars! There’s only one way to find out. Just make sure you get rid of the evidence before your kids see it, or you’ll have a lot of explaining to do. I am a new member on this site. Cooking is my hobby . I am a content writer also ,I don’t have waste time. Time is precious. So I have free time I am cooking some delicious. Some days ago I have searched best cooking site. I saw in this one. 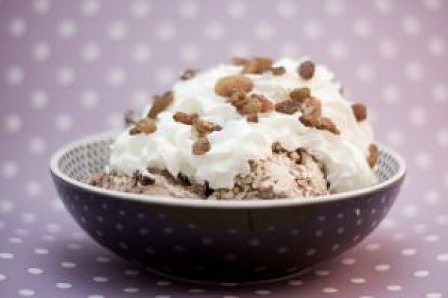 How to make some variety ice cream in home? In this article more helpful for me. Thanks for sharing here. It is variety name of ice cream . I no idea about ice cream in breakfast it was good thing. Some days ago I make ice cream how did I make ice cream with explain : milk sugar, dairy fats, fruits, pulp ,nuts and add slavours and permitted colors this are required make ice cream. It was amazing taste.I told that I am a content analyzer,I am expert writer in some writing services.Beginning an essay can be not easy, even for knowledgeable writers. Getting blocked in the beginning of your writing procedure can slow you down and stop you from ever writing your essay. However, understanding how to put in order your ideas, develop your thesis and introduction, and keep on writing can help you finish your essay successfully. Knowing closely what your teacher expects from you is the first step to starting your essay successfully. You should read the on time as soon as likely after it is given to you. The best way to start an essay is to get your ideas out in a non-essay set-up to begin with. Prewriting can take many unlike forms, and you may want to test to find one that helps you the most. Sometimes trying to get one sentence or section “perfect” can stop you from continuing to write. When you have over your first draft, go back to any areas or sentences that you leave out and try to write them now. It will be easier to revise your essay if these sections have by now been filled in.